As a mom, I know the struggle of getting kids outside and engaged with nature! It can be stressful, overwhelming and downright frustrating to plan activities, get out the door, and feel like we know enough to make the experience somewhat interesting for us and our kids. Because so many parents struggle with this (myself included! 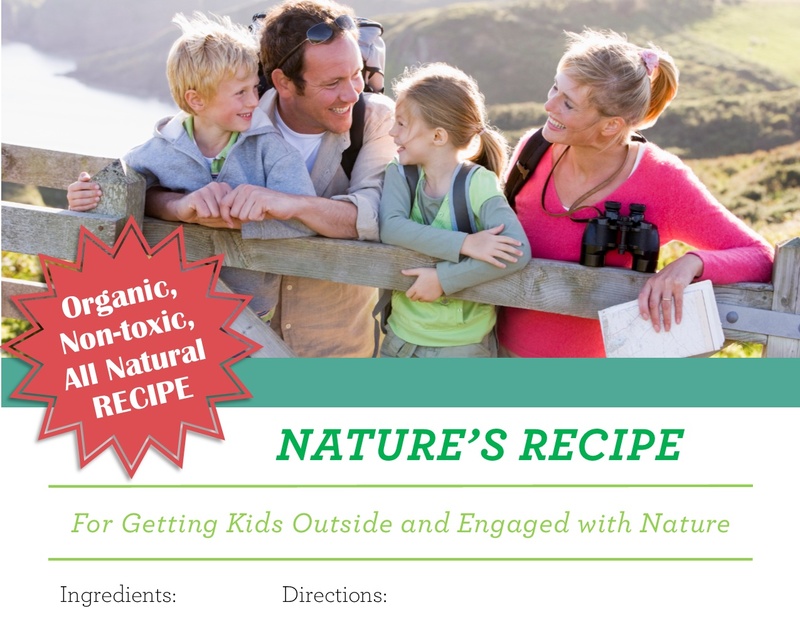 ), I developed a recipe to help us get our kids outside and engaged with nature. The recipe is easy to follow, adaptable to your family, and comes out great, every time. This eBook includes the recipe, along with detailed, practical instructions for reuniting your child with nature. The best part is, all the strategies and activities in this book can be used over and over again! 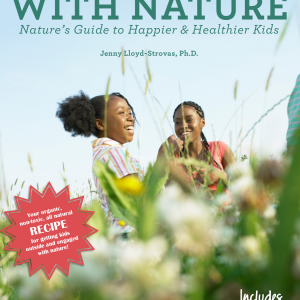 Reuniting Children with Nature describes why nature is imperative for the health of our children and our planet, while also giving practical advice on how to get outside with your kids. Do you have a hard time pulling your child away from the screen and into nature? Are you interested in getting outside more but are unsure of what to DO when you’re out there? Do you want to develop your child’s curiosity and love for nature, but are not sure where to start? 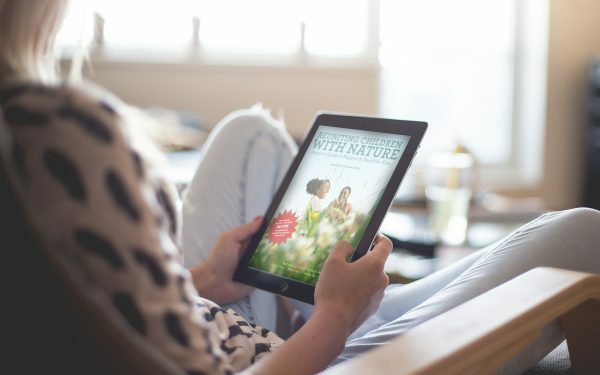 This eBook is a detailed how-to guide where I take all the guess work out of getting outside and give you strategies and activities to help you and your child engage in nature. The Goal Setting & Planning Workbook to help you purposefully plan nature activities and reflective questions to keep you moving forward. Access to the private Facebook group: Nature Matters with Dr. Jenny. Here you’ll find support and encouragement from other parents like you as you work toward more frequent and meaningful nature experiences for your kids. By purchasing this product, you agree to our Terms & Conditions. All transactions are made through Authorize.net, ensuring that your credit card information is safe. Their mission is to provide the most secure and reliable payment solutions through a strong infrastructure and by adhering to strict internal security policies and industry security initiatives. You can be confident that you information is secure with Authorize.net. I’m so grateful for this guide. I felt like I finally found a guide that I can actually follow because it’s got science-backed facts combined with a mom’s practicality! I’ve been trying to raise my sons to love and care for the environment but I wasn’t quite sure how. We’d go outside a lot but more for a change of scenery (and sanity!) than learning about nature (also I don’t know much about wildlife) and we tend to do the same activities over and over. Reading this ebook, gave me a bunch of new ideas (like finding a nature nook!) 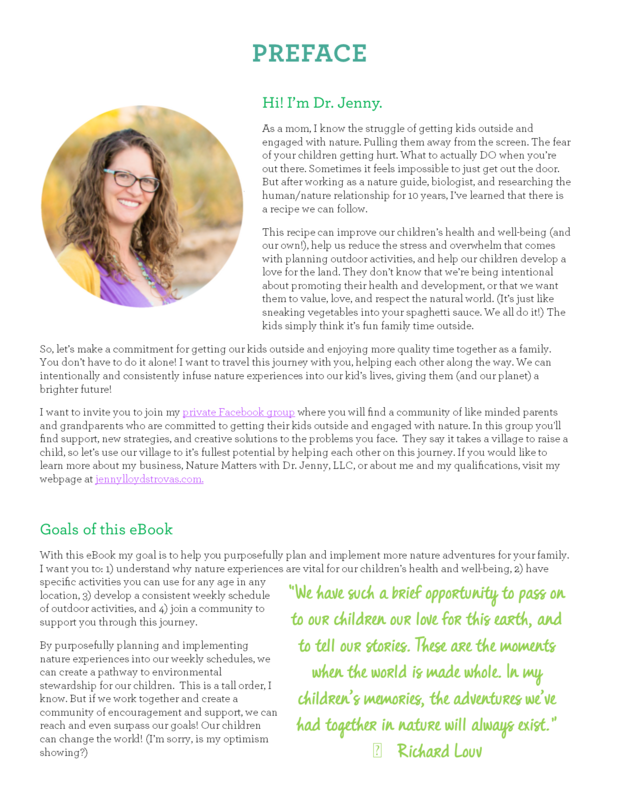 AND I love that Jenny gives suggestions for how to adjust activities depending on your children’s ages. Most of all, the activities are simple, fun, and close to home which was is SO nice because it takes the pressure off of feeling like I need to plan all day outings in order for my sons to ‘connect with’ nature. This book is a wonderful resource and a reference I know our family will refer back to again and again. 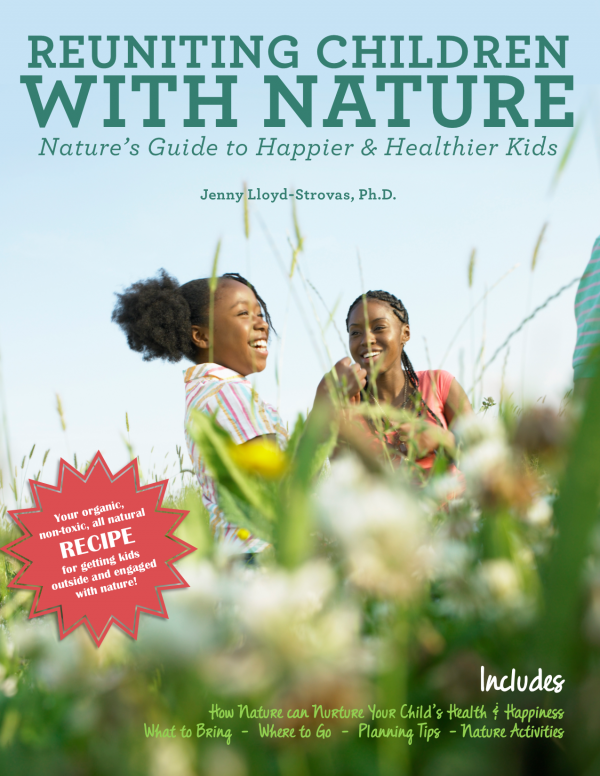 The message of this book is simple yet powerful; engage your kids in nature. They will benefit, and there will be a positive impact on the environment. It is truly encouraging, no matter your background.